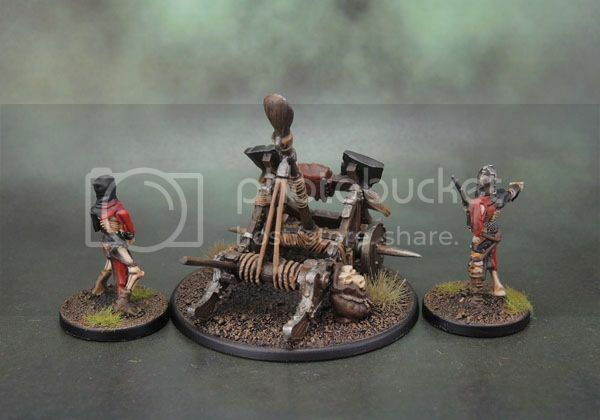 Mantic Games Undead Balefire Catapult | Azazel's Bitz Box. This update is slightly odd for me. 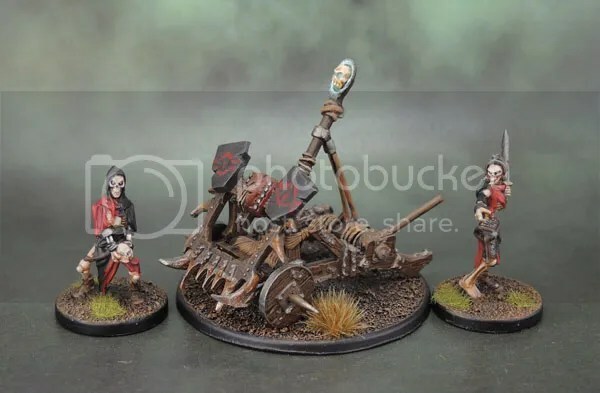 Alongside the unit of skeleton infantry I shared with the previous update, I also managed to finally complete the two crew of Mantic’s Balefire Catapult. The odd part is that I painted the actual Catapult last year, and was sure I’d posted it here, but can’t for the life of me find it posted. This has of course been the final month of the first 6-month “Tale of Gamers” painting challenge that I’ve run over on Dakka. As they were painted separately and at different times, the iconography of the Catapult is more than a little different to the plain freehand skulls and bones I’ve been giving the skellymans. I actually went for a stylised red eye. (hmm….) in order to allow the actual war machine (sans crew) to fit into several armies aside from solely belonging to the undeads. The crew on the other hand, were started (well, assembled) at the same time as the Balefire, but only painted recently, more or less in concert with the infantry, so their livery is the more current, developed one that the army has taken on. Painting the crew does of course combine with the catapult to create another completed, finished unit – entirely the point of the ToG challenge! That’s pretty much it. 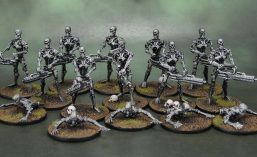 It has made for a good, strong finish to the final month of the painting challenge for the undead. Especially so, considering I had the painting doldrums and didn’t finish anything at all until almost three weeks in. 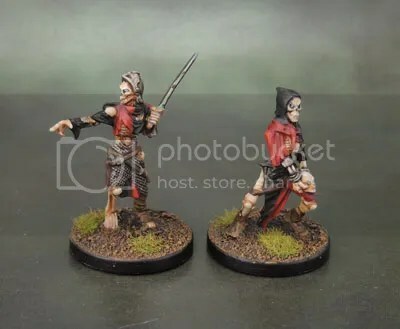 June’s “Tale of Gamers” Undead painting contingent. 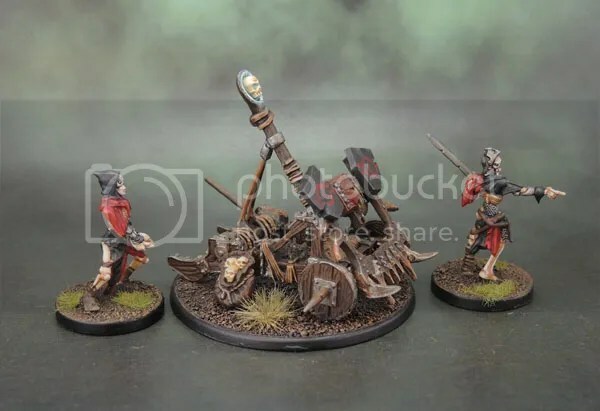 This entry was posted in Fantasy Gaming, Kings of War, Tale of Umpteen Gamers Jan-June 2016, Undead Army, Vampire Counts, Warhammer Fantasy - 9th Age and tagged Balefire Catapult, Kings of War, Mantic Games, Mantic Skeletons, Undead Army. Bookmark the permalink. Very cool mate. A nice little force there. Thanks mate, I’ll have some more up soon! Cracking job mate, what a brilliant looking force! And thank you as well. 6-month showcase pics will be coming up next! Thats a nice looking warmachine unit. Well done for making it to the end of the six months. Im looking forward to seeing the lot photographed together. I have those very same spiders lined up for part of it too. I look forward to seeing yours! 🙂 I’ve started the second 6-month challenge, but giving myself a looser set of models to work on this time. Having an enforced focus was great for getting units from specific armies done, but horrible in terms of constriction from other models I wanted to paint. They are indeed the round (WarPath/DeadZone) Mantic bases. I ordered a few sprues directly from them a few years ago, and then during the fulfilment of KS-1 I asked them if they could sub in rounds for the Undead Army deals I purchased, and they kindly did so. Not sure on Pandora, I haven’t seen the opened-up box to date. The Balefire Catapult is actually a pretty nice kit, made of HIPS, and simple enough to put together as well. I’d recommend it. 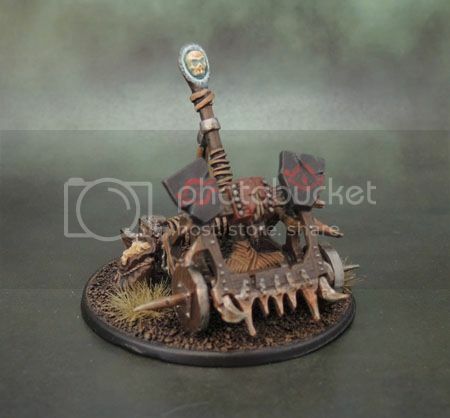 Pingback: War Machines of Minas Tirith | Azazel's Bitz Box.